Musicians are used to having all kinds of fans, and they’re probably not too surprised when celebs are into them, too. After all, who can blame the celebs, right? But when they find out they’re on President Obama’s official Spotify playlist, it’s a whole other story. I mean, we’d love to see ~The President~ rocking out to Jay Z’s “So Ambitious,” Corinne Bailey Rae’s “Green Aphrodisiac,” or D’Angelo’s “Lady” — amirite? With such a great musical range — from Billie Holiday and Miles Davis to the Beach Boys and Common — we’d def get behind this list. 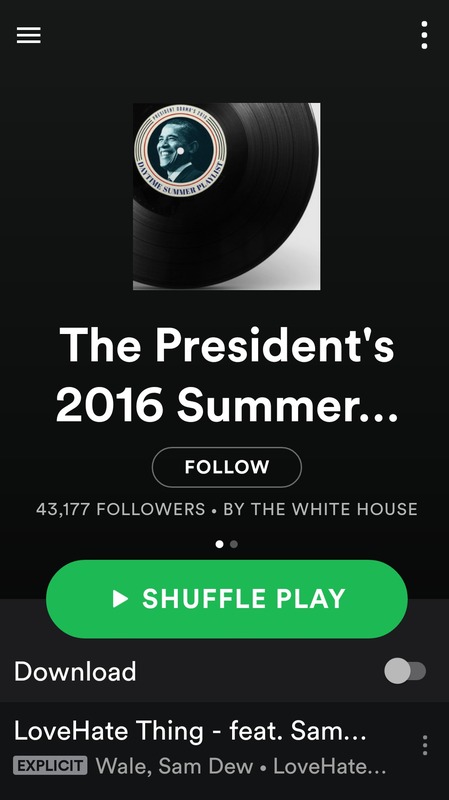 Oh, and ICYMI, the White House playlists started in August 2015. Smart move if you ask us. And Hillary Clinton has been known to create Spotify playlists, too. 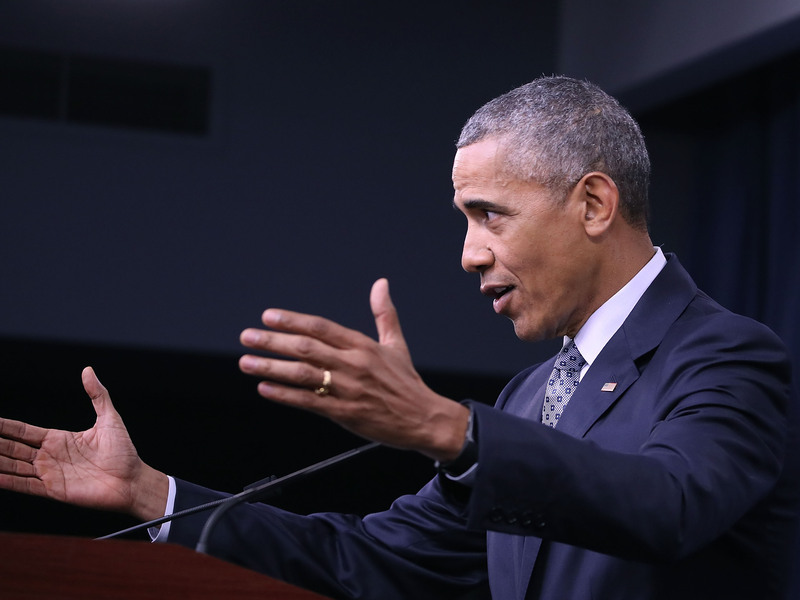 We ~love~ President Obama’s choices, but how did the artists themselves react? Regardless of the playlist’s tone, all we know is this: We want to download all these songs right now. Brb.